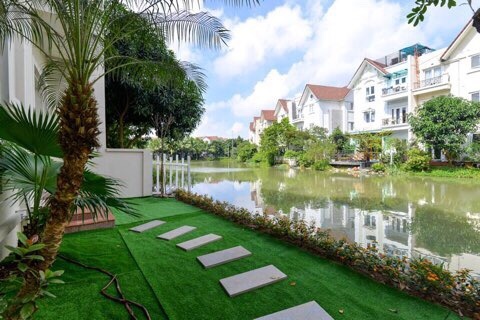 Vinhomes Riverside Long Bien offers you more than one thousand of detached and semi-detached villa complex in neoclassical designed Vinhomes Riverside Ecological Urban Area is located at the Northeastern gateway to Hanoi less than 6.5 km from Hoan Kiem Lake, enjoying convenient access to Hanoi urban areas. The villas at Vinhomes Riverside are surrounded with a man-made canal system, a special design feature of the complex, where residents can enjoy morning breeze, sightseeing or family fishing days and best facilities. 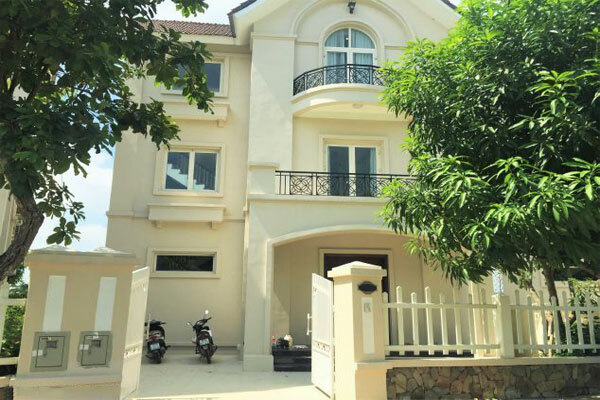 This beautiful big villa is located in Hoa Sua area, Vinhomes Riverside. The total area is 250 with surrounding garden and river view. The villa is bright and nice in a quiet place with security 24/24. 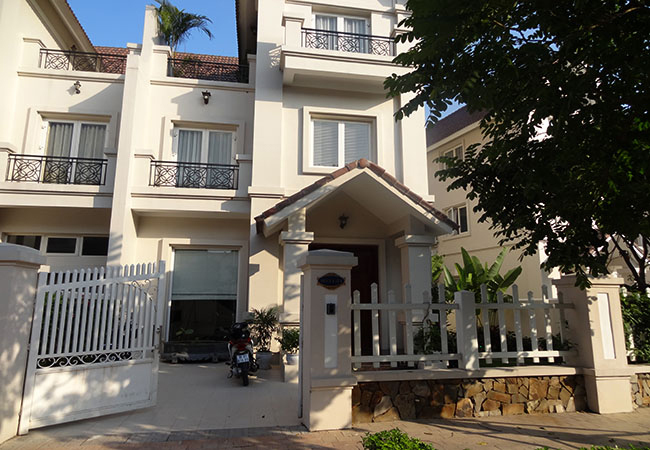 Located in Hoa Sua road, next to the river, this is a very beautiful villa. The total land area is up to 300 sq m with green grass and nice view surrounding. The construction area is 120 sq m. The villa is designed and decorated in Western royal style, makes it charming and really attractive. All furniture are new and nice, waiting for you to come and stay. This is one of the most high class and luxurious urban area in Vietnam. This semi-detached villa is brand new and gets ready for the tenants to move in immediately. The land area is 280 sq m. The house is surrounded by a green garden and next to the river. The construction area is 120 sq m. The whole house is carefully designed, suitable for a family or a group of friends to stay in long time. There are 03 bedrooms and 03 bathrooms. The apartment has one multi-function room for relaxing and gathering the whole family. This is a very new villa located at Long Bien Riverside urban area. The land area is 200 sq m, next to the river. The living area is up to 460 sq m with 03 bedrooms and 03 bathrooms. The villa is fully furnished and the tenants can move in immediately. The surrounding area is safe and peaceful, not very far from Hanoi city center. 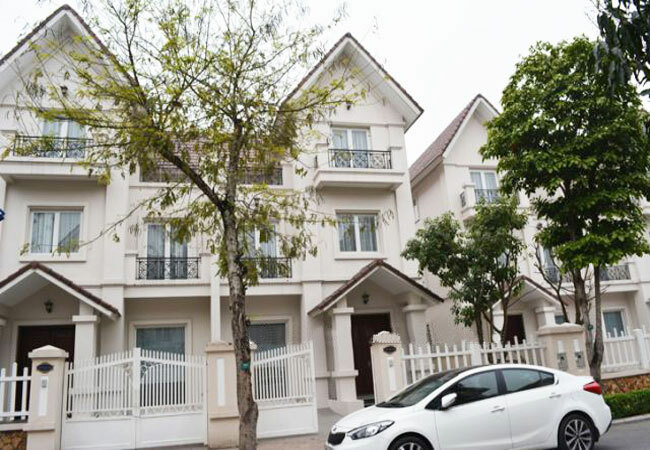 This is a very nice and bright villa in Bang Lang street, Vinhomes Riverside Long Bien area. The land area is 250 sq m, the construction area is 150 sq m x 4 floors. The villa has both large yard and big terrace, suitable for you to relax in fresh air and peaceful atmosphere. The open living room will be good place for all the visitors to enjoy. There are 03 bedrooms and 04 bathrooms. Theare is a karaoke room for the tenants to relax in spare time. The house is fully furnished and the tenants can visit it today. 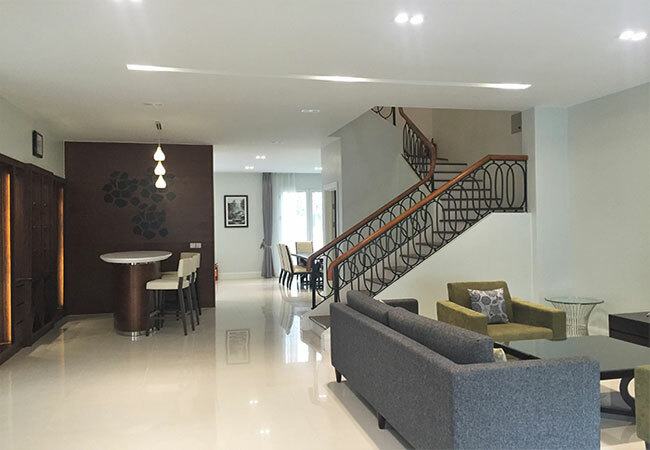 This is a brand new villa in Vinhomes Riverside Long Bien. The toal area is 280 sq m with a lovely garden in green grass and many trees. The villa is next to the river so you can enjoy the fresh air, cool breeze. The construction area is 180 sq m with 03 floors. There are 03 bedrooms, 03 bathrooms, 1 modern living room and fully equipped kitchen. The highest floor is a common room for all family to gather and indoor playground for kids. 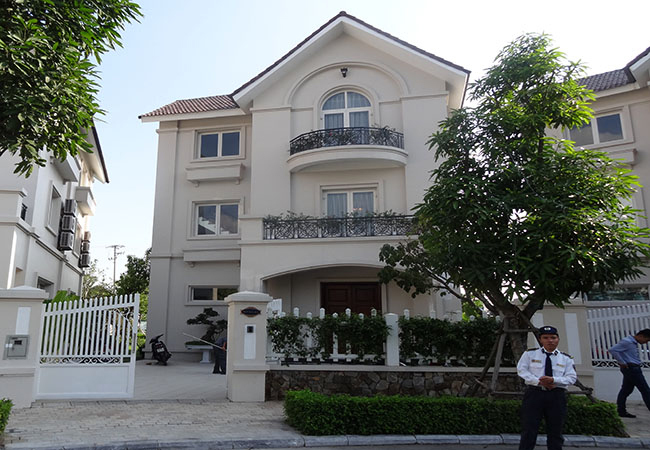 This is a very big villa in Hoa Sua road, Vincom Riverside Long Bien. The living area is 516 sq m with 03 bedrooms and 04 bathrooms. The whole villa was carefully design, suitable for long term contract. Located in green and fresh environment, this villa is the best choice for you. The total area of this nice villa is 250 sq m. The villa is facing to the river with amazing view. There are 03 living rooms, 01 modern kitchen, 05 bedrooms and 05 bathrooms. The whole villa is bright and fully furnished, ready for the tenants to move in and stay in long term. 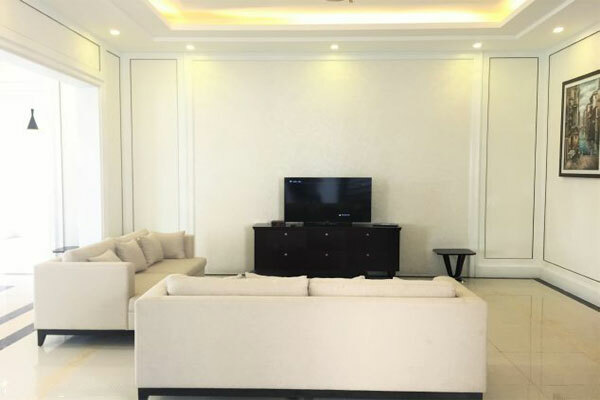 Located in Hoa Phuong road, neaxt to the river, this is a very beautiful villa. The total land area is up to 500 sq m with green grass and nice view surrounding. 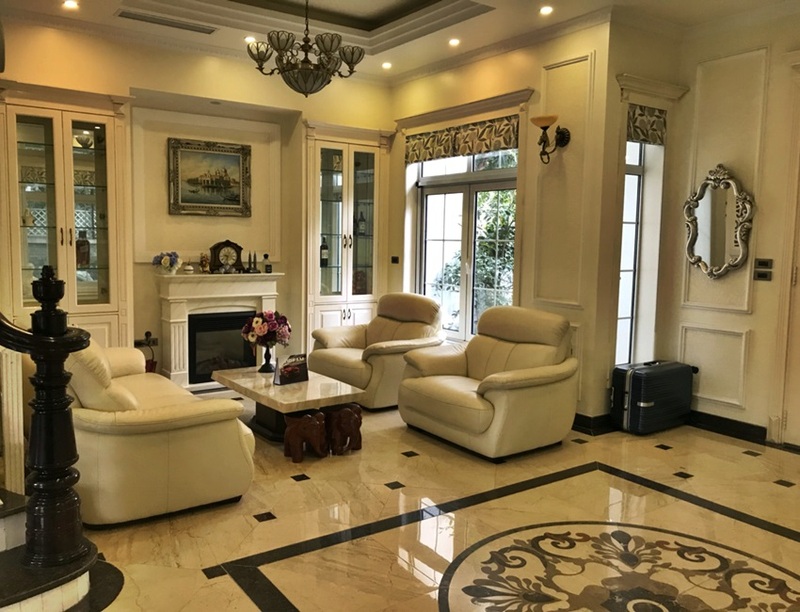 The construction area is 200 sq m. The villa is designed and decorated in Western royal style, makes it charming and really attractive. All furniture are new and nice, waiting for you to come and stay. This is one of the most high class and luxurious urban area in Vietnam.